Coutinho’s struggles in Spain have been dissected by Brazilian football journalist Tim Vickery, who has years of experience for the BBC and plenty of other reputable publications. The 26-year-old currently cannot get into Barca’s starting XI because Ernesto Valverde has decided he isn’t suitable for the midfield three, with Ousmane Dembele, Lionel Messi and Luis Suarez the starting forwards. Vickery thinks Coutinho’s current situation is problematic, suggesting our former midfielder needs a manager who puts an arm around his shoulder. Coutinho’s best form of his career came under Jurgen Klopp, who interestingly did use the no.10 in midfield – and to great effect. “Philippe Coutinho now as a player and maybe as a person is kind of at a crossroads,” Vickery told TalkSport’s Trans Euro Express show. “I didn’t really understand the idea behind Barcelona buying him as an [Andres] Iniesta replacement. “Because I don’t see him as a genuine midfielder. “If you’ve got a midfield trio and an attacking trio, I would see him as a member of the attacking trio, as a kind of support striker cutting in from the flanks, rather than a member of the midfield trio. “Now Barcelona seem to have abandoned the idea of playing him in the midfield. “So that means he’s currently competing and currently losing out for a place with Dembele. “He looks sad. You’ve got to remember with him that Liverpool bought him ‘bargain basement’ for a reason. “That reason is he really hadn’t done it – I know Inter Milan is a club where many players have come unstuck in recent years – but he hadn’t really done it in European football before he went to Liverpool. “You wonder with him, on a personal level, if he really needs good man-management and a coach who fills him with confidence, rather than saying ‘you’re not doing well son, do better, it’s all up to you’. 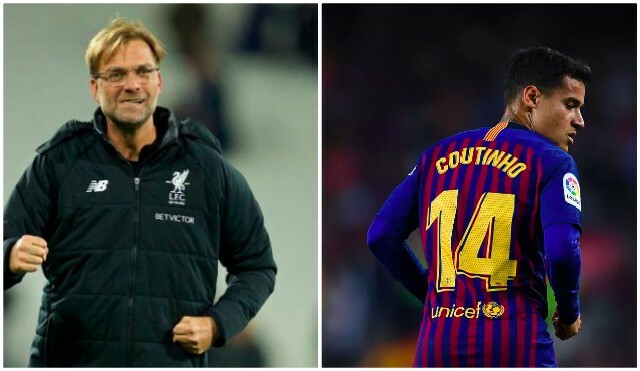 Klopp is an infinitely better manager than Valverde, who gets by on he fact he has the greatest footballer of all time to get him out of trouble. At EOTK, we’d take Coutinho back in a heartbeat – although have no idea if it’s something the boss would consider after how Phil pushed for an exit – happy to dismantle Liverpool’s season in the process. Barca spent enormous money on Coutinho as well, so would probably want most of it back if a sale was ever on the cards.